In Norristown, Pennsylvania—a small, but not quite sleepy town just south of Philadelphia—Bill Cosby stands trial, accused of sexually assaulting Andrea Constand, a former Temple University employee. While the trial started with the theatrics of an episode of “Law & Order”—colorful and powerful opening statements from both sides and a drama-filled, but blistering cross-examination by the defense—it’s already missing a key element that made the courtroom battles of other superstars, like O.J. Simpson and Michael Jackson’s, so irresistible: celebrity fans. “It’s nothing here that I can get excited about,” said Javon Knight, a local resident and unemployed construction worker, who walked by the courthouse as Cosby arrived for the first day. “I mean, yeah, it’s Bill Cosby, but he’s like 80 years-old and they are doing all of this, because of a ‘he-said-she-said’ thing that happened, like, years ago. That should be irrelevant, but I guess Bill Cosby isn’t that relevant anymore,” said Knight, 41. Cosby had fought for a change of venue from Montgomery County, where Whites make up more than 80 percent of the residents and Blacks account for 9.5 percent of the population, according to the United States Census Bureau. While the trial wasn’t moved, the judge did decide to select the jury from Allegheny County, 300 miles away, where the Black population is 13.4 percent. But, the large courthouse in Norristown sits along East Airy Street near Main Street, an area heavily populated with African-Americans, who reside in older homes along narrow streets paved with cracked sidewalks in a downtown that desperately needs a makeover. The only Whites to be found in the area were court employees and those who worked in the few businesses near the courthouse. 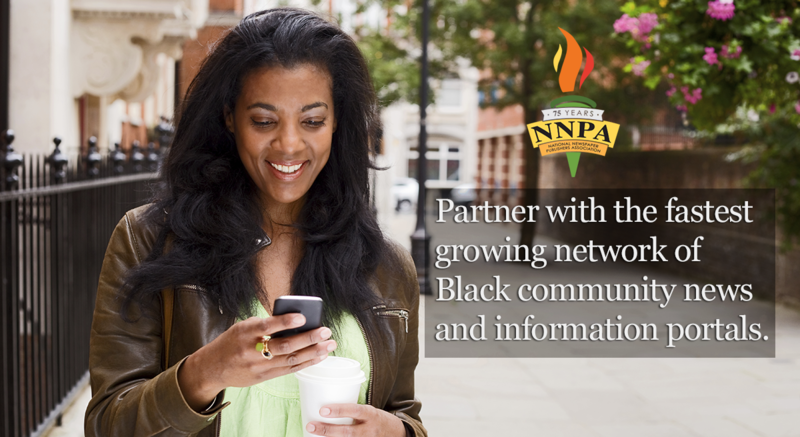 According to the Census Bureau, Blacks account for nearly 36 percent of the Norristown population, nearly three times the national Black population; about 41 percent of the Norristown population is White. The first witness called was a Black woman named Kelly Johnson, who said Cosby drugged and raped her in the 1990s. Johnson claimed that she had rebuffed Cosby’s repeated efforts to embrace and kiss her during a “play acting” scene at his home, but later agreed to meet him at a bungalow at a Bel-Air, California hotel where he allegedly drugged and assaulted her. 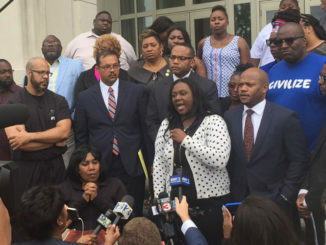 But, while it appeared to go well inside the courtroom for the icon, whose television daughter, Keshia Knight-Pulliam was there to support him on the first day of the trial, there were no fans or stargazers outside. During the Simpson trial, the public entrance to the courtroom was jammed every day of the eight-month trial. Supporters and detractors alike swarmed downtown Los Angeles and many even regularly drove by the murder scene miles away in Santa Monica, where authorities eventually were forced to put up a sign that outlawed cruising there. At Jackson’s child molestation trial in 2005, fans who couldn’t get in the courtroom to see their idol regularly stood vigil outside, holding signs of support and one woman even held two doves in a cage which she released after the singer was found not guilty. “Bill Cosby said some pretty rough things about Black people and I think the resentment lingers,” said Terrell Battersby, who works at a local hospital. “He aired our dirty laundry to White people. He called us out for not being good fathers and for how we decide to wear our clothes and comb our hair. He was ‘Mr. Morals’ and then, lo and behold, look what we have,” said Battersby, 34, alluding to Cosby’s infidelities that’s led to allegations of sexual assault by more than 50 women and now criminal charges. 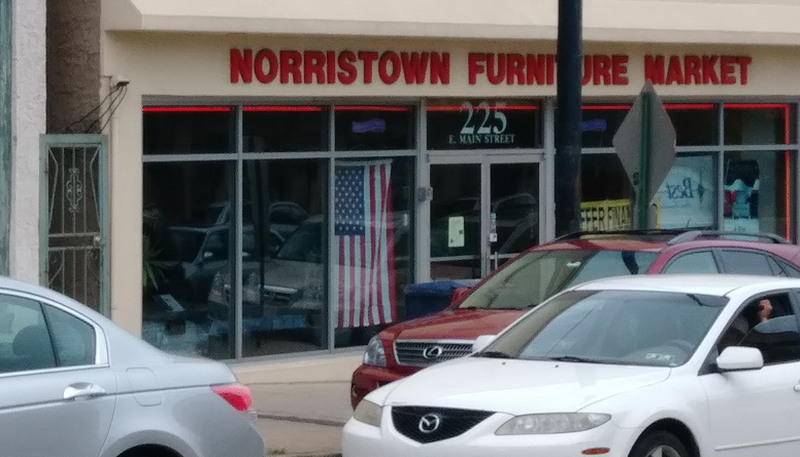 Alicia Barrows, a medical biller for a local doctor’s office, said she had little interest in the case and the promise of celebrities appearing in Norristown didn’t change that. “That’s not real life for me or people around here and that’s wild, because Cosby being in court is probably not real life for him,” Barrows, 47, said. “But, I’m not stopping my day to see Bill Cosby or Phylicia Rashad, or Sinbad or [Pulliam]. This isn’t like O.J. it just doesn’t matter,” she said.